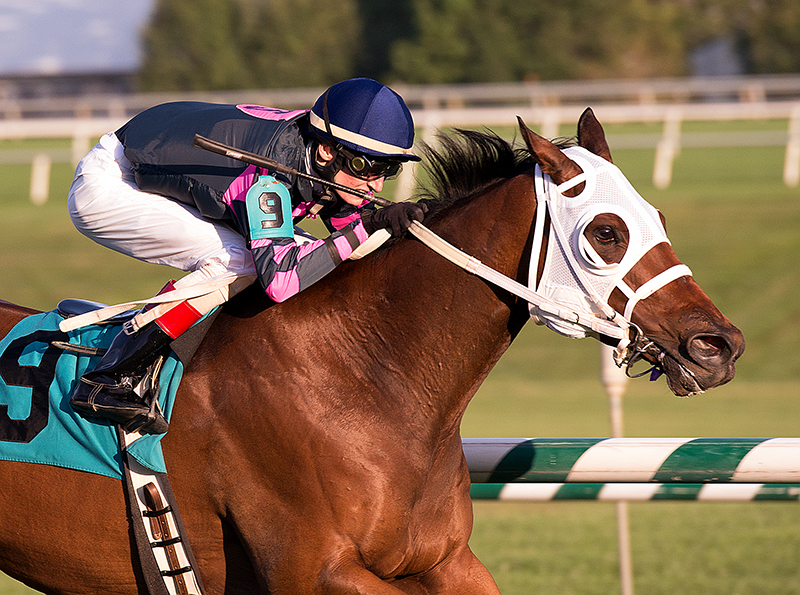 Nine Virginia-bred horses scored victories in the second half of May including a trio of veterans who have combined to make 177 starts. Fur Lined, Galitzianer and War Colony reached the winners circle for the 13th, 12th and 10th times respectively in their careers. 2016 Virginia-Bred Horse of the Year Set To Compete In Grade I Stakes June 3rd. Champions Stellar Wind (Virginia-bred) and FinestCity each worked at Santa Anita Saturday morning (May 27) for the Grade I, $400,000 Beholder Mile slated for Saturday June 3rd. Stellar Wind, Eclipse Award winner as outstanding three-year-old female of 2015, went five furlongs in company under exercise rider Jose Contreras in 59.80, while FinestCity, winner of an Eclipse Award as best female sprinter of 2016, went the same distance in 1:03.20 for trainer Ian Kruljac. Mike Smith was aboard. Virginia-bred horses will have a big presence in Saturday’s (May 27th) $100,000 Red Bank Stakes at Monmouth. Rose Brier (7-2), Special Envoy (6-1) and Just Call Kenny (6-1) will all compete in the stake’s 13 horse field. The trio were bred respectively by William Backer, Mr. & Mrs. Bertram Firestone and Althea Richards. The event is race 9 on the card, is set at one mile on the turf, and will go to post at 4:52 PM. 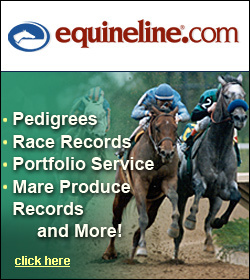 Preakness Day is Saturday May 20th! The big race goes off at 6:45 PM and racing fans are eager to see if Always Dreaming can win the second leg of the Triple Crown. It certainly would make Belmont Day that much more intriguing! Virginia pari-mutuel wagering figures have been tabulated for the month of April along with the first four months of 2017. Betting Handle placed via the four partner Advance Deposit Wagering (ADW) companies continues to show gains in addition to solid business numbers at the two Richmond area Off Track Betting (OTB) Centers. Virginia-breds had another solid weekend at tracks around the country, highlighted by a pair of victories at the competitive Belmont Park spring meet. Carbon Data and Max James connected on May 12th and 13th respectively — the former in a 1 1/4 miles, $90,000 maiden special weight test and the latter in a 1 1/16th miles, $41,000 maiden claimer. Renown, Virginia’s First Country Racing Superstar? The following article appeared in The Racing Biz last week. Virginia’s “country racing” experiment uses the timing and tradition of steeplechase venues to create opportunities for primarily Virginia-based horsemen to race. Flat racers have been part of steeplechase cards for decades, but the concept of raising the level of flat races in popular one-day steeplechase stopovers in Virginia has been at least one answer for the 2013 closure of Colonial Downs. Horses with Virginia connections will be well represented at Belmont this Saturday, when four graded stakes are on tap!